Why go now: Your holiday ski break doesn’t have to break the bank. Even in high season, this town is a steal. Dress code: Warm fleece (save the designer ski jacket for glitzy neighbors Vail and Beaver Creek). Best deal in town: The $3 shuttle to Vail from downtown Minturn. Best après-ski reward: Margaritas and nachos at Minturn Saloon, a 1901 landmark near the end of the Minturn Mile ($$; 146 Main St.; 970/827-5954). Hot dish: Adult mac ’n’ cheese (with gorgonzola and shallots) takeout from Ali’s Kitchen (call for hours; $; 151 Main; 970/827-5616). Best brew: Moose Drool from Big Sky Brewing Co.; grab a pint at Kirby Cosmo’s BBQ Bar ($$; 474 Main; 970/827-9027). Make it yourself: Get inspired to knit your own expensive-looking scarf with a stop at the Yarn Studio (closed Sun; 103 Williams St.; 970/949-7089). Opened in 1942 as a training site for the 10th Mountain Division, this is one of the state’s oldest ski areas. And with lift tickets half the price of those at better-known resorts, it’s one of the most affordable. Check website for conditions; on U.S. 24 at the top of Tennessee Pass, 23 miles south of Minturn; $42. Cross-country ski on groomed trails through the San Isabel National Forest. At the base of Ski Cooper; $10 half-day, rentals from $8 half-day. 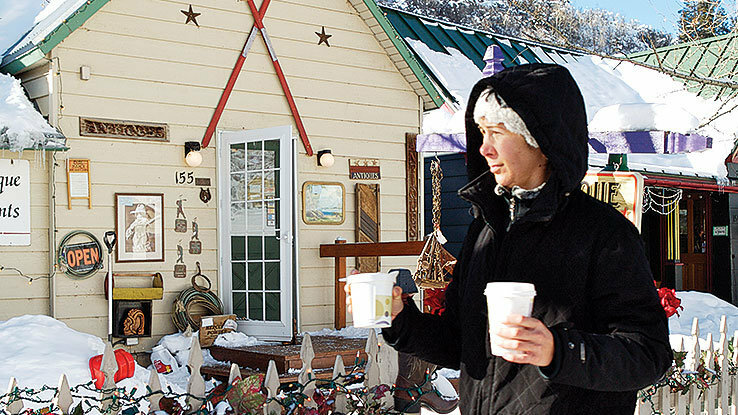 Ski or snowshoe 1 mile to dinner at a cozy yurt; indulge in a four-course meal that includes specialties like grilled elk with blueberry and port sauce. Reservations required; $75, including rental of skis or snowshoes and headlamp; 719/486-8114.